Zerrick's fears are closing in on him. A local girl has been accused of witchcraft. There are murmurs of a cursed illness in town. And Zerrick's father, the town Reverend, has announced that he is leading a vendetta against magic and will burn them at the stake. In the end, he'll find the heart of magic. "At first glance with the witch hunts you might think this is an alternate America, but if you look closer, you'll find things are different. Outside the town walls are wild jungles. The natives have black curly hair and beards. In fact, I based Argessa on Australia in the Queensland region, so when Zerrick makes his journey, he travels through rainforest and jungle eventually into wild brushlands and finally into desert. The Put-na, the native people, are loosely based on Aborigine, as is their language." "I worked with a Brazillian artist, Lucas Pandolfelli, for the cover illustration of the book. He was excited to depict a critical scene near the end, where Zerrick faces the Ravenger, a demon who works for Angist, the god of evil. 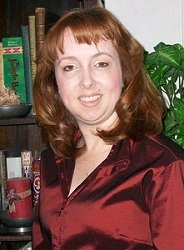 Judy Goodwin has been writing for several years in between being a single mother and writing as a technical consultant. Her short stories have appeared in magazines, She writes primarily fantasy, science fiction and humor. When not writing, Judy enjoys visiting local festivals, volunteering for the Arizona Animal Welfare League, and reading history books. She currently lives in Gilbert with her daughter and far too many dogs and cats. 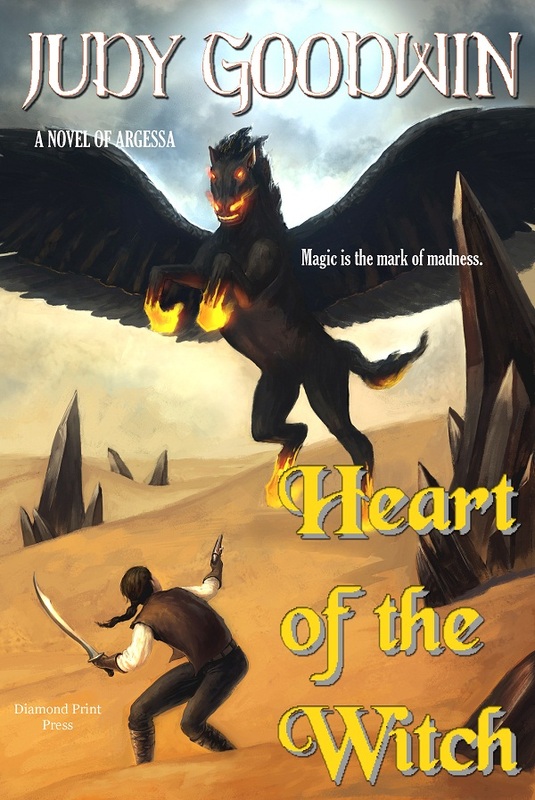 "I came up with the idea for this book as a way to explore a fantasy setting outside the tired old medieval castle with the knight and the princess. By setting my world in a slightly later time frame--the 1600's, it gave me a whole new set of problems to work with. Colonialism. The pushing out of native people. Exploration of a new continent. And witch hunts. There could still be magic, there could still be monsters and quests and fair ladies, but I thought this could be a fresh new spin on old tired themes."